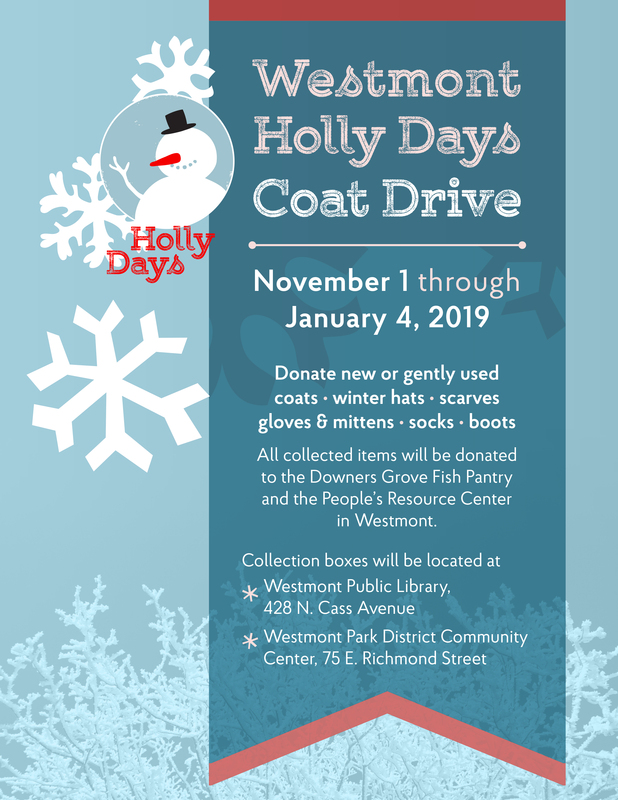 The Westmont Holly Days Coat Drive will begin November 1 and continue through January 4, 2019. This will be the 20th consecutive year that our local public agencies have hosted the collection. The collection will accept new and/or gently used items including coats, winter hats, scarves, gloves and mittens, socks, and boots. Collection boxes will be located at the Westmont Library, 428 N. Cass Avenue, and the Westmont Park District Community Center, 75 E. Richmond Street. All collected items will be donated to the Downers Grove Fish Pantry and the People’s Resource Center in Westmont. For more information, contact the Park District at 630-963-5252.